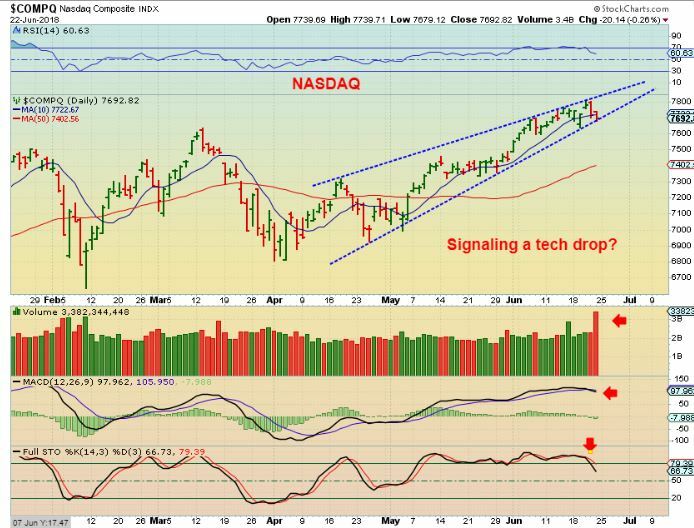 NASDAQ - June 18th, I showed the bearish rising wedge forming on the SPX & NASDAQ . Read the chart. 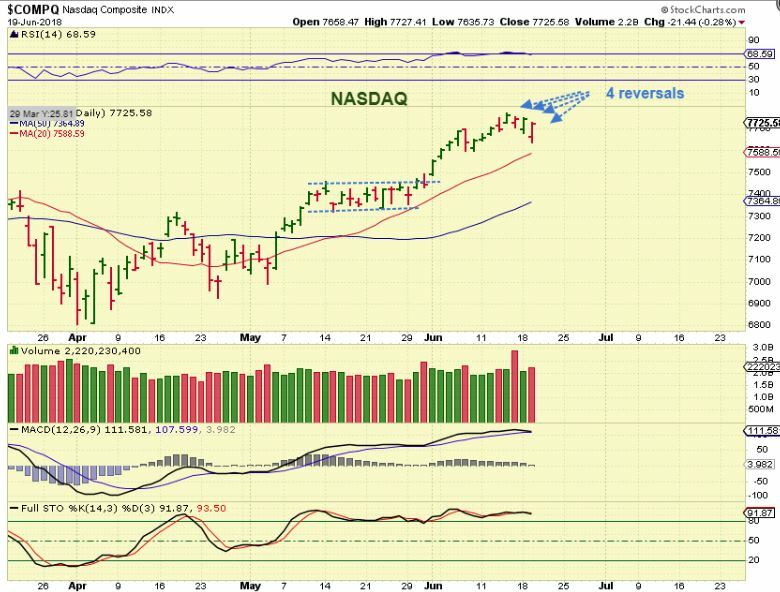 NASDAQ - After 4 drops & reversals higher in a row, we had a POP to new highs. 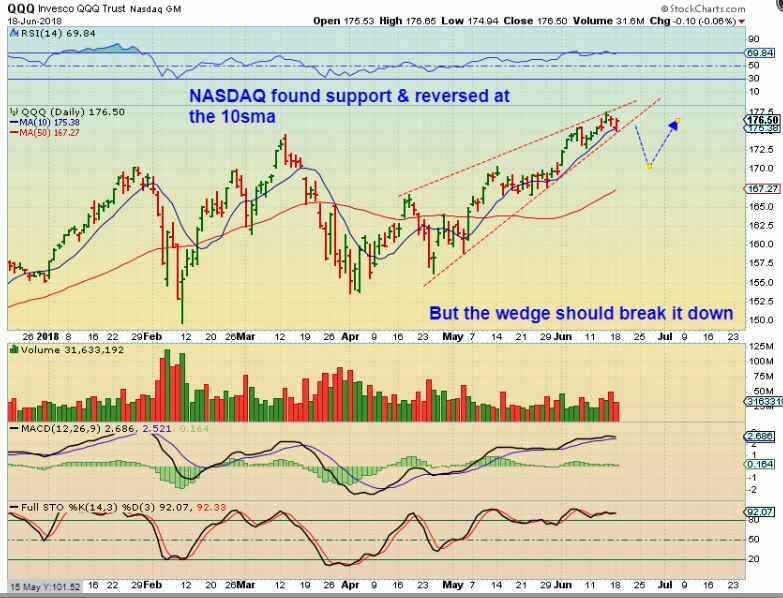 Deceptively strong looking, but the WEDGE was still in tact, so I wrote that "we would see if this bearish rising wedge would break out higher or down" ( They almost always drop down). 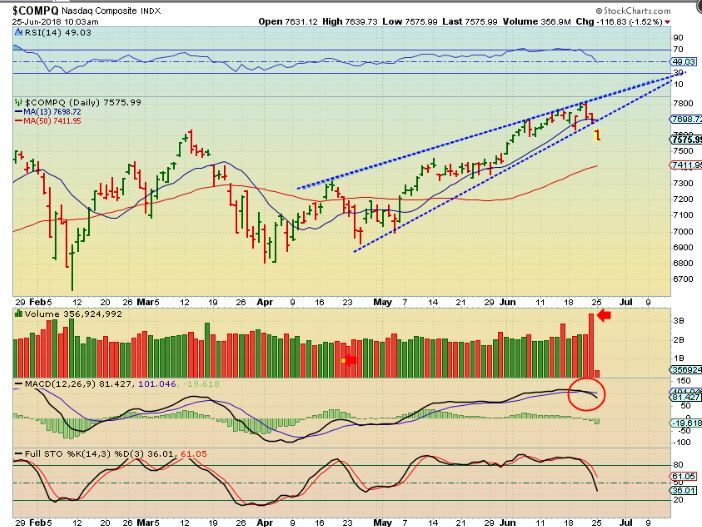 THE WEEKEND REPORT SHOWED THIS WEDGE AGAIN. I SEE A HIGH VOLUME DROP FRIDAY THAT WAS LIKELY POINTING TO A COMING TECH DROP. 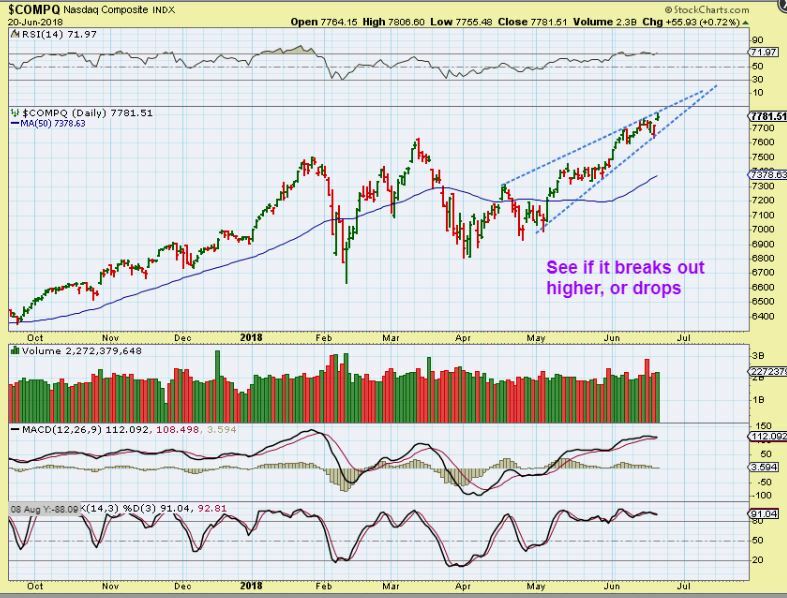 NASDAQ - As the markets try to pull back, it looks like buyers are stepping in and propping it up a bit. We have seen 4 reversals in a row during the selling in NASDAQ.